For more on types of security tokens and how they differ from utility tokens, please refer to an earlier piece here. New Term to Know: “STO” — a security token offering. Similar to ICO for utility token offerings. Founded in 2015, Securrency offers a protected, scalable platform providing liquidity to previously illiquid assets. The company’s platform consists of several products: (1) Securrency™ — facilitates regulatory compliance and enables the trade or transfer of tokenized securities, (2) RegTex™- provides regulatory compliance services such as, KYC/AML reporting, validation of investor accreditation and eligibility, reporting, and tax submissions, (3) SmartContraX™ — a blockchain smart contract development service, (4) InfinXchange™ — provides standard interfaces for payments, exchanges, asset pricing, and other transactions. tZERO, a subsidiarity of Overstock.com, focuses on the development of various blockchain supported solutions for the capital markets. The company’s present offering consists of brokerage services, stock inventory management systems, smart order routing solutions through a network of more than 100 brokerages, a 24-hour trading platform, as well as other services. The company handles traditional equities but is planning on scaling its operations by integrating a token trading system for crypto securities. The company’s token — tZERO, is an ERC20 security token, that pays 10% of adjusted gross revenues to token holders on a quarterly basis. Pioneered by Brock Pierce himself, Blockchain Capital was arguably the first to introduce a public offering for a securitized token. In its ICO, Blockchain Capital hoped that it could improve the emerging token sale industry in multiple ways. The offering created a blueprint for future tokenized securities, invested in other ICO’s that embodied some of the best practices and accepted funds only from accredited investors. The token sale reached its hard cap of $10M within six hours. The proceeds from the offering were transferred to one of Blockchain Capital’s funds. According to the offering memorandum, the fund’s managing partners collect a 2.5% management fee and a 25% performance fee. The remainder of profits are to be distributed to token holders. Management: Founders Peter Pham, Mike Jones and Greg Gilman, founders and investors in the original Science incubator. PropertyCoin is another example of how security tokens can transform existing markets. PropertyCoin is opening up real estate, one of the largest asset classes, through a 100% asset backed token. Aperture, the operator behind the STO, intends to invest the proceeds in two business areas — (1) flipping residential properties and (2) lending to other property investors. 50% of the profits will be shared with token holders through reinvestments. Slice is a commercial real-estate (CRE) investment platform for cross-border investors. It functions as the underwriter, issuer and placement agent for prime real-estate securities. 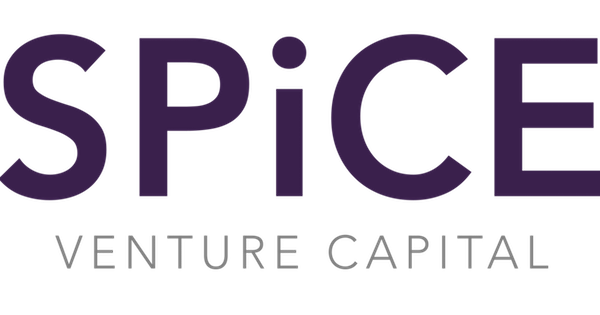 Slice offers liquidity to conventional real estate equity investments, while creating portfolio diversification tool for high net worth investors. Slice’s investments will provide investors with a choice between stable quarterly distributions from cash-flowing properties, or high-yielding value-add projects with large but infrequent dividends. Accredited investors can deploy investments directly into institutional-grade commercial real-estate utilizing Slice’s tax-advantaged structure. Slice combines the Bancor Protocol with Stellar’s built-in decentralized exchange to ensure high liquidity for the CRE-backed tokens issued on the Slice platform. Some of the legal heavy-lifting such as KYC/AML will be automated by the issuances platforms. Nonetheless, getting good lawyers to structure your security token is crucial. For the best token structures and lawyers, continue to our next article here.